Teddy Purcell looked at last season as perhaps his last shot at landing full-time NHL duty. By the end of the campaign, however, he'd left absolutely no doubt about his legitimacy as a big-league talent. He obviously convinced the Lightning management as well, as they just re-signed him to a two-year contract. 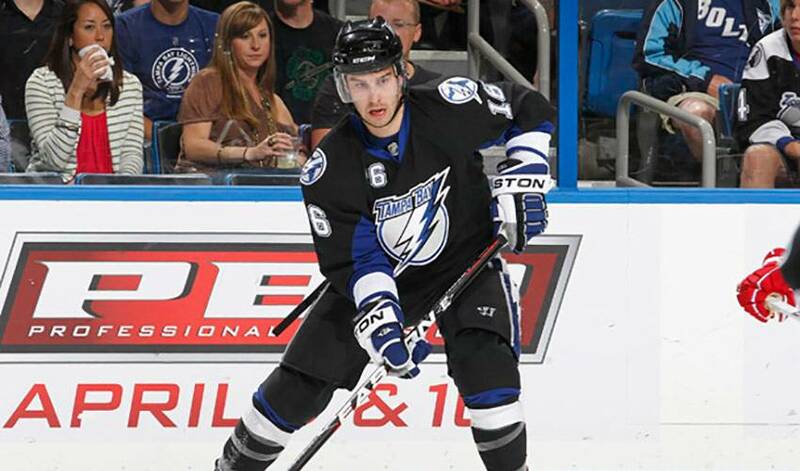 He skated into the 2010-11 Playoffs on a high, having recorded 17 goals and 51 points in 81 regular season games with the Tampa Bay Lightning. And he didn't disappoint in his first NHL post-season, netting 17 points in 18 contests. In the Eastern Conference Semifinal against the Washington Capitals, Purcell notched six assists to tie the franchise playoff record for most in a single postseason series, as he helped the Lightning complete a sweep of their star-laden Southeast Division rival in four consecutive games. With the exception of a longer playoff push, Purcell couldn't have scripted things any better. So good, in fact, that Purcell recently signed a two-year contract with the Lightning. Purcell certainly didn't waste that opportunity, showing he was a consistent offensive catalyst. At the trade deadline in 2010, Purcell was dealt, along with third-round draft pick to the Lightning in exchange for forward Jeff Halpern. He finished the 2009-10 season with 15 points. On July 6, 2010, then new Tampa Bay Lightning General Manager Steve Yzerman re-signed Purcell to a one-year contract. It's been an ideal match for everyone involved. Purcell, who scored his first NHL hat-trick, against the Phoenix Coyotes, on February 23, believes even better days are ahead in Tampa Bay. Purcell, who played one season of collegiate hockey with the University of Maine in 2006-07, is looking to do the same himself once the puck drops on the new campaign. Purcell is certainly glad he didn't throw in the towel in the days he was drifting between the AHL and NHL. It seems Tampa Bay management is happy to have the 6'2”, 200-pound Purcell on their roster. And that, one of hockey's most determined players admits, suits him just fine.